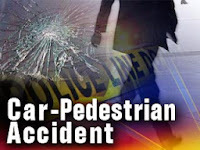 On December 18, 2017 at 5:46 p.m., Galloway Township Police responded to pedestrian motor-vehicle accident on Aloe Street. According to Police, a 2008 Chevrolet Impala, being operated by Lynn M. Stadtmueller, 33 of Egg Harbor City, was traveling eastbound on Aloe Street, in the area of New Orleans Avenue. Elizabeth Thompson, 27 of Egg Harbor City, and another white female were walking in the area of Aloe St. and New Orleans Avenue. 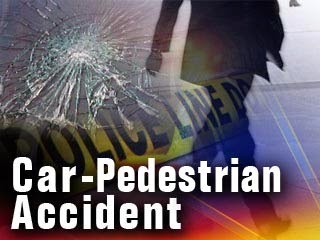 For an unknown reason, the unidentified female fell in the roadway. Stradtmueller’s vehicle struck both Thompson and the unidentified female in the roadway. Stradtmueller was wearing her seatbelt at the time of the accident. Thompson was transported to Atlantic Regional Medical Center, City Division, for serious but non-life threatening injuries. The unidentified female was pronounced deceased on scene. The female’s identity is not being released at this time until proper notification to next of kin is made. Galloway Twp Police Department, Egg Harbor City Police Department, Galloway Twp Ambulance Squad and AtlantiCare Paramedics assisted in the accident. The accident is being investigated by Patrolman Ron Gorneau of the Galloway Township Traffic Safety Unit. Anyone with information regarding this accident is encouraged to contact Patrolman Gorneau at 609-652-3705 Ext. 5095.